Android is the hugely popular mobile OS from Google. Android is the most widely used mobile OS, being used around the world on a variety of smart phones and tablets, including the new Kindle Fire. Android is able to be customized and has thousands upon thousands of apps from both the Android Market and the Amazon App Store. But, how do you learn more about Android and Android devices? Here's some resources for you. Android.com is the home page for Android. It just got a nice make over to make it more consumer friendly. The site has information about Android, links to explore it, link to the official Android app Market, and more. If you are a developer, or want to be one, this is also the place you want to go. If you use Android, or are curious about it and want to learn more, this is a great place to start. AndroidCentral is part of the Smartphone Experts network of sites (sites about every smart phone OS. If you own a smart phone, check these sites out.). Android Central has news, help and tips, resources, links, reviews on apps and devices, accessory store and much more. The forums are great places to get help and get your questions answered. It is an indispensable resource. 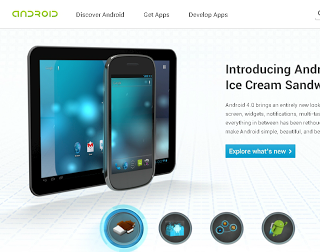 If you own an Android device, you need to read this site. The official place to get Apps for your Android device. Search, scan, and check out all the great apps on your computer and send them to your device. Amazon has an app store for Android too. Some of the apps here are the same as the ones in the official Android Market, but Amazon has a free app each day. I just got QuickOffice Pro for free (it is normally $19.99). You definitely want to check this site out each day to look for the free apps. Android is a great OS that keeps growing. If you use Android, you'll want to use these resources to keep up to speed on everything.